Robinson Building Corporation is a Kansas Corporation established in December of 1995. Family owned and operated, Robinson Building specializes in quality residential new construction. Our staff brings over 4 decades of experience to the building world and Terry Robinson, President and founder, has been in the construction industry for over thirty years in Manhattan, Topeka and the surrounding areas. Terry has also served on the Executive Board of of the Kansas Homebuilders Association and is the currently the past president for the state of Kansas, Terry also serves as a board member for the Flint Hills Builders Association in Manhattan. Mark Robinson recently finished serving on the executive board for the Topeka Home Builders Association and was acting president for 2014. Our dedication to serving our industry is very important to us, by being involved and working to address industry issues we not only help our clients but also our fellow contractors and suppliers. Building a new home can be stressful and we understand that, we work hard to minimize this stress and create an enjoyable experience for our clients. Quality craftsmanship and attention to detail by our employees and sub contractors is the emphasis of every project. We are fully insured and licensed for your protection and peace of mind. Sage Homes aspires to enrich the lives of others by creating better places to live. We strive to achieve this by creating thoughtful, distinctive, and functional designs with an intent focus on energy efficiency and storm-resistance, resulting in homes that can be enjoyed for generations. 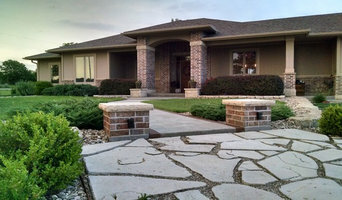 We are a custom, semi-custom, and speculative home builder serving the Flint Hills region. eady to Have the Home You’ve Always Dreamed Of? PUT OUR 45 YEARS OF COMBINED EXPERIENCE TO WORK FOR YOU Founded in 2002, Topcut Dimensions Inc. has grown to be the premier remodeling company in the area with the skills to handle any project – regardless of size. Our contractors have more than four decades of combined experience in the industry which they will use to transform your property. Whether you want to turn your bathroom into an oasis or trade your carpet for hardwood floors, you’ll find the experts you need at Topcut Dimensions in Clay Center, KS. With an experienced team of contractors and a guarantee that we’ll finish your project on schedule, Topcut Dimensions is your best bet for quality service. Licensed and insured, we’re a member of the Kansas Building Industry Association, the Flint Hills Area Builders Association and the National Association of Home Builders. Make sure you hire professional contractors who put your interests first by calling Topcut Dimensions in Clay Center. Founded in 1990, Log Homes of N.E. Kansas is an Independent Representative exclusively of REAL LOG HOMES® brand log homes. Since that time, we've helped many people just like you realize their dream home. We represent REAL LOG HOMES® because unlike other log home brands, we found both the product and the service superior to others we had researched during our own home-building process. Choosing to construct our own home ourselves, we discovered first-hand how important extensive pre-cutting really is, and how the accuracy of the pre-cutting and ease of building the REAL LOG HOMES® system made for an exceptional experience. Representing REAL LOG HOMES® since 1990, we combine our years of building experience with over 50 years of manufacturing experience through REAL LOG HOMES®, to provide a home of exceptional value, and an experience that is both memorable and rewarding. We look forward to helping you as you start planning your own log home. Professionally trained in all aspects of the REAL LOG HOMES® product, we'll provide expert guidance and exceptional support in the planning stages of your log home, during construction, and after you move in. Our services include: • Guiding you through our extensive library of REAL LOG HOMES® floorplans. • Helping you customize your plans to meet your needs and budget. • Providing pricing, financing and contractor information. • On-site technical assistance at the time of delivery. As Builder/Independent Representatives specializing in log home construction, we can also help you build your home. Knowledgeable in the structural and design elements particular to REAL LOG HOMES®, we'll help you turn your ideas into a home that's just right. Most of all, we can provide you with the peace of mind that comes with knowing that your home has been built with attention to detail and time-honored craftsmanship. We're committed to making your experience of planning and building your REAL™ log home memorable and rewarding. We hope you'll spend some time browsing through our website, learning about our company and our product. When you're ready, we look forward to meeting you in person at our model home, where you can see first hand why a REAL LOG HOMES® brand log home is so nice to come home to. Jim Reynolds Construction has been designing and building custom made structures for over 25 years. All homes are meticulously designed with great detail, making sure that your foreverhome is exactly what you desire it to be. Builders of quality homes both custom and spec. Whether it's getting your home remodeled or fixing damage that's been done to your home, we're here to help you every step of the way. JMJ Drywall Construction has been around since 2003, so we really mean it when we say we're here to help you. At JMJ Drywall Construction, we've built our livelihoods on remodeling people's homes. From the simple to the lavish, we've experienced it all and we can help you every step of the way. No job is too small or too big for our knowledgeable crews. For Fort Riley residential home builders who also act as developers, the job starts well before the first nail is driven. They perform local market research to determine whether the prospective homesites make sense in the Fort Riley, KS market, as well as survey the land on which the house will be built to make sure it is suitable for construction. Custom builders also obtain the necessary permits. 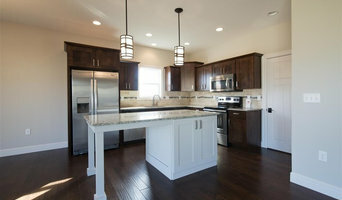 A good custom home builder in Fort Riley, KS has skills that go far beyond construction — he or she must supervise subcontractors and artisans; keep tabs on local zoning regulations, building codes and other legalities; inspect work for problems along the way; and perform dozens of other roles that are essential in building a quality house. Here are some related professionals and vendors to complement the work of home builders: Interior Designers & Decorators, Landscape Architects & Landscape Designers, Architects & Building Designers, Kitchen & Bath Designers, Specialty Contractors. House builders are responsible for ensuring that the home-building project sticks as closely as possible to the specified timetable, particularly in the event of change orders. Custom and luxury home builders in Fort Riley, KS also need interpersonal skills to deal with clients of all types, soothe frazzled nerves, negotiate conflicts and resolve problems. 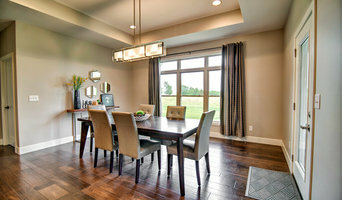 Find custom home builders in Fort Riley, KS on Houzz. Narrow your search in the Professionals section of the website to Fort Riley, KS home builders. You can also look through Fort Riley, KS photos to find a house you like, then contact the builder who worked on it.